3 Teaching Tips for a New Teacher - Are you a little nervous? Shelby Howlett is attending Brock University in the BMus program as a voice major. Shelby had 6 months to complete her Advanced Rudiments. 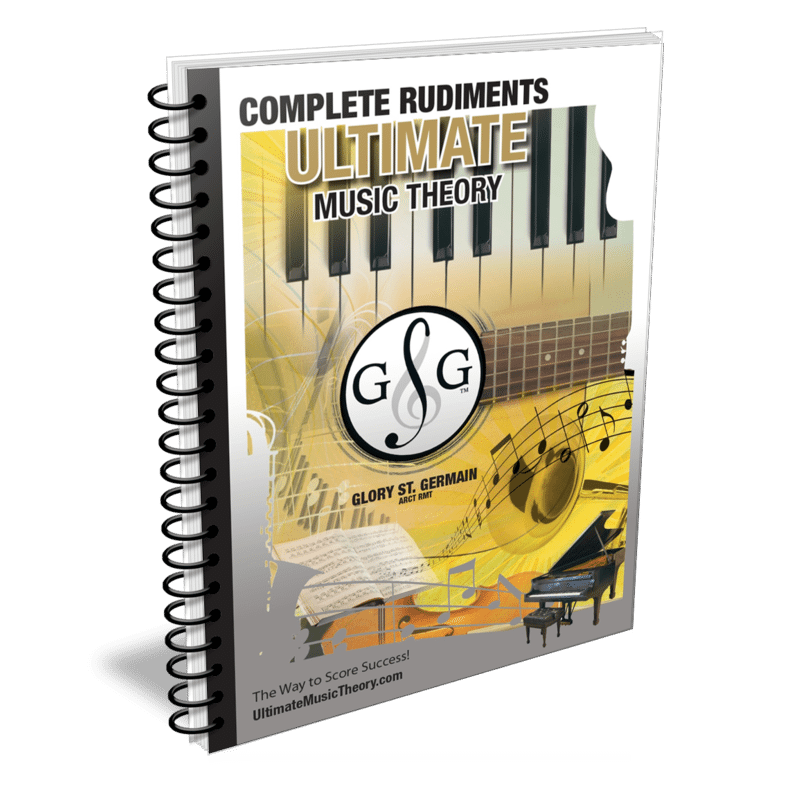 She was one of the first students to do the Ultimate Music Theory Complete Rudiments Workbook. Doug Giroux is taking a Concurrent Bachelor of Music and Education (B.Mus/B.Ed) at McGill University. Doug was a guitar student who contacted me for Theory Lessons in order to complete his Advanced Rudiments so that he could continue in Music in University. Both Doug and Shelby are going to be Music Teachers! So Teaching Tips would really help them get started. We talked and laughed about how much fun they had learning “outside the box”, like introducing 12/8 Compound Time using Goldfish. Doug asked me what 3 Teaching Tips I would give to a new Teacher. 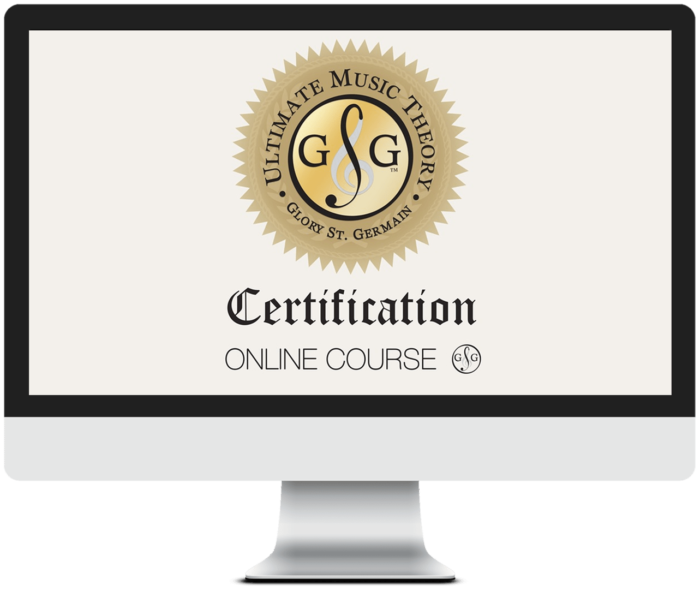 Since getting to know Glory St. Germain, author of the Ultimate Music Theory Series, I have grown and changed as a teacher. The success of my students used to be my validation – if my students “did” well on exams, I felt like I was doing my job. If a student didn’t “get” the way I was teaching them and they struggled to learn a concept the way I was presenting it, I took it personally. I believed in that imaginary “Thy Students Shall Complete One Grade/Level Every 6 – 8 months or Else Thou Art a Failure As A Teacher” rule. Teaching Tips - #1 Each Student is unique, with their own Learning Style. Each Student will progress at their own pace…and the pace will be different for each and every Student. Understand your Student’s Learning Style so that YOU as a Teacher can teach the way that your Student learns. When you are teaching the Complete Rudiments Workbook and if your Student doesn't “get it”, then it is not a sign that you are a failure as a teacher – it just means that you need to look at how you can change how you are presenting the concept so that your Student CAN get it. There is no rule as to how fast a Student “should” progress – concentrate on enjoying their musical journey, at THEIR speed. Teaching Tips - #2 Each Teacher is unique, with their own Teaching Style. Be true to yourself. If your personal drive is to ensure that each and every Student achieves maximum success – that they practice every day, that they progress at a fast rate of speed - then work with high-achieving Students so that you both share the same goals. Understand that working with Special Needs Students is probably not your forte, nor is working with the “Recreational” Piano Student. If your personal drive is to ensure that each and every Student enjoys learning about music, then you will not stress if your Student practices at their lesson, or learns one song a week…and you will enjoy the journey with your Student. This world needs ALL kinds of Teachers. Understand your OWN Learning Style so that you can develop the kind of Teaching Style that works for YOU. Teaching Tips - #3 Understand that every word out of your mouth can either build or break your Student. Know how to build rapport with your Student and how they best receive praise, compliments, suggestions and criticisms. I have often heard people say they DON’T sing or play because their Teacher told them that they COULDN'T (instead of building on what they COULD do first). Be aware of the words you use and how you use them to always focus on what you DO want and what you CAN do. If you want to become the Teacher that builds a Student and motivates them to achieve and exceed THEIR goals (and not yours), then keep learning – keep studying – keep growing. Every single time that I support Glory while she teaches the Ultimate Music Theory Certification Course (which is now available ONLINE), I learn something more about communication, building rapport and about how I can become an even better Teacher. The more that you grow as a Teacher and as a Person, the better you will become as a Teacher and as a Person. And finally…one last note on Teaching Tips… TAKE PICTURES! I will always regret not taking pictures of my afternoon with Shelby and Doug. I will have the “heart memory” of our conversation forever, but it would have been nice to have been able to look at a “picture memory” too! 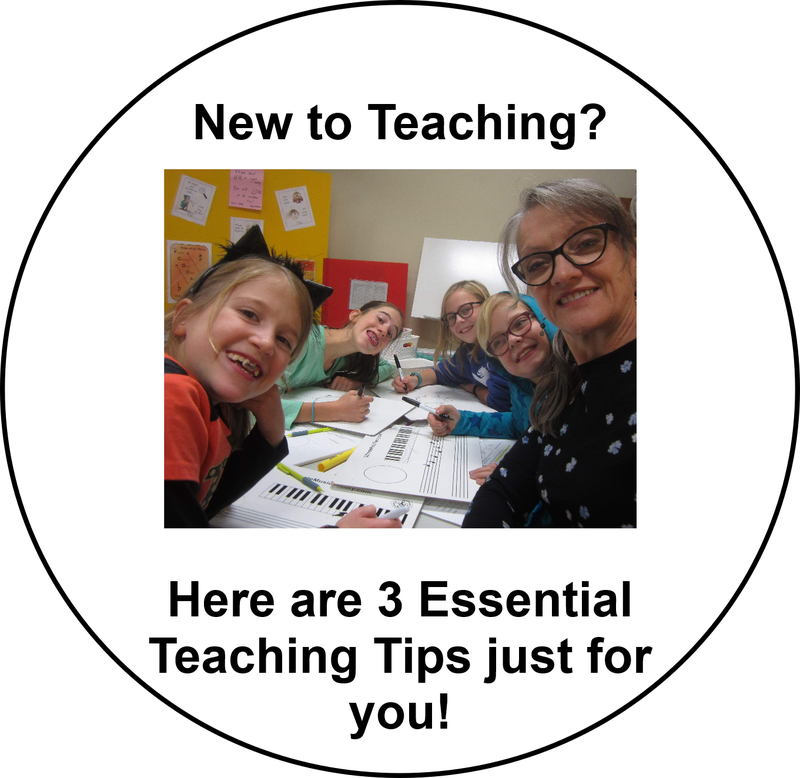 From a Student who followed the Complete Rudiments Lesson Plans to a new teacher - 3 Teaching Tips. P.S. Join the conversation - Enter your favorite Teaching Tip in the comment box below. Thanks for sharing these tips Shelagh! Great thoughts for new teachers. I remember my first year as a teacher, (I should probably give them their money back… lol) Good thing I keep on learning and good thing they continued to study with me. Wish I had pictures of my first year teaching… MANY years ago. I couldn’t agree more on every single point you mentioned here Shelagh!! All of these pointers that you mentioned are exactly how I approach all of my students and probably why some have stayed with me for several years now! I wish and hope that all teachers would subscribe to this philosophy. What an awesome post! Jeff your students are truly blessed to have you as a teacher. Isn’t it interesting how our philosophy does influence our students. I love these tips from my favourite teacher! This conversation definitely will be something I keep with me when I start teaching. You put a new perspective on teaching and what it means to be a teacher. Thank you for the awesome advice (and to have it in writing too now!). Re #1 Tip: After attending a seminar workshop presented by Clinician Debra Wanless organized by Hamilton-Halton, ORMTA for our Branch Members, I have observed that I am becoming more and more aware of my piano students’ unique learning styles, as well as my own! This has allowed me – as I engage with a Student during a lesson session – to become more flexible in my teaching approach in order to accommodate a Student’s learning needs. Thank you so much for sharing your teaching ideas and philosophies. They are so very insightful. I continue to learn from them. With only 5 or 6 years of teaching experience, I am already thoroughly acquainted with a few of these pedagogical brick walls. If I was asked if I believed in the these teaching tips when I sat down to teach my first guitar lesson, I probably would have said yes. However, it takes a good pedagogue to raise these points in the first place. It wasn’t until much later that I began to objectively reevaluate what I consider to be the most important elements of education. When my principal goals as an educator became developing one’s own artistic voice, quality of life, and authentic self actualization, I began to compassionately teach each student as they were, and not as I wished them to be. It also was at this crucial point that I feel like my students and I began to form a cohesive and mutually reciprocal relationship. I feel blessed to keep in contact with such a talented mentor like Shelagh! I had another teacher comment a few years ago that they were so “sick and tired of teaching C+ scale”. How they were “bored” teaching beginners. I didn’t respond verbally, but my first thought was “how can you get bored teaching all of these different and amazing individuals?” It’s not what you teach, but to whom and how that makes teaching a new experience with every moment. Love my job! I can’t agree with you more Heather. I LOVE teaching. It is about building relationships and sharing knowledge. Your attitude influences your student. When you are excited about learning and teaching, your student will be excited about learning and implementing what they have learned. PMA – Positive Mental Attitude. Heather, you are one of those amazing teachers. Your students are lucky to have you.